I have been privileged to be one of the first of the very few to experience Wicked Lures from the beginning, and have been a true believer in these incredible lures since 2011. What makes these lures so unique is that they are not species specific. 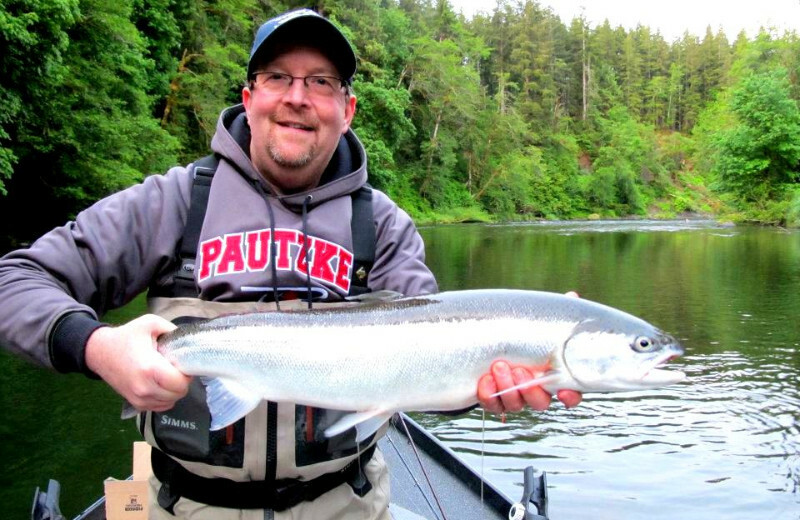 I have used Wicked Lures to catch steelhead,pink salmon,sockeye salmon,chum salmon,coho salmon and chinook. All of them will annihilate a wicked! I featured Wicked Lures in multiple magazine articles: Salmon, Trout Steelheader, Northwest Sportsman and Fish Alaska. Not only are Wicked Lures deadly on fish, the product is very marketable with an eye appealing design and one of the most eye catching logo’s around. When people see a Wicked they want to fish it!